Would you like to tell your Westcreek neighbors about your business, products you sell, or services you offer? 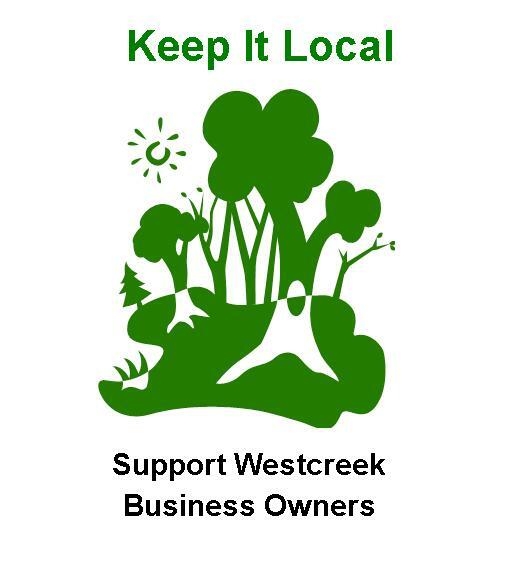 What is the Westcreek Business Owners' Page about? A business owners' webpage where residents who are current WNA members can exclusively advertise their business / products / services. Your business name listed according to category, links to your website, your Facebook page, or other site. If you do not have an actual site, the link will go to a specific page that lists your contact details. If you haven't had a chance to join/renew & support the WNA in 2014, please mail in your member app or use Paypal and take advantage of yet another association benefit. Dues are only $20 a year. We hope you agree this is an inexpensive and easy way to reach local clients! How will the WNA let neighbors know about the web page? Once the page is launched, we'll make an announcement to all neighbors. Plus, the page will be linked in official email communications, on periodic Facebook and Nextdoor posts, and in our newsletters. This will give you a way to let your neighbors know that they can buy local! How do I keep my information current and continue my listing on the page? Let us know if you have an update. Be sure to renew by January 30 each year, during our membership drive, to keep your link active on the page, as this perk is only available to current members! If you happen to miss the January membership drive, you can still join/renew at any time & activate/reactivate your link! We hope you'll take advantage of this offer. We believe you will benefit from letting your neighbors know they can buy local! This entry was posted on Thursday, August 7th, 2014, 6:51 am and is filed under Local Businesses & Contractors Recommended by Neighbors, News & Announcements, Uncategorized. You can follow any responses to this entry through RSS 2.0. Both comments and pings are currently closed.